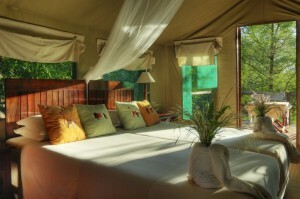 Camp Moremi accommodation comes in the form of 11 tents modelled after the East African style. Each tent has exclusive hot showers and waterborne toilets. The tents at Camp Moremi are intimate and exclusive, due to the fact that only 22 guests can stay there at any given time. 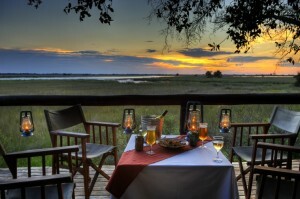 The tilted Moremi Tree Lodge is the central focus of Camp Moremi. The tree lodge houses the deluxe main lounge, a wildlife reference library, dining room and cocktail bar. The giant ebony trees provide some much appreciated shade, and allow you to comfortably overlook Okavango Delta’s Xakanaxa Lagoon. Each of the Camp Moremi tents are flawlessly decorated with Rhodesian Teak wardrobe, luggage racks, dressing table, bedside pedestals, classic directors’ chairs, vibrant woven rugs, designer linen and coordinating interior blinds. 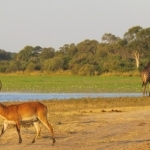 The most varied habitat and animal populations in Botswana can be found at the Moremi Game Reserve. 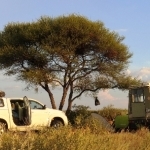 Guests have a good chance of seeing the Wild Dog, Cheetah and Leopard. The most common species, however, consist of Lion, Elephant, Buffalo, Hippo, Giraffe, Hyena, Zebra, Kudu, Lechwe, Sable and Roan Antelope. 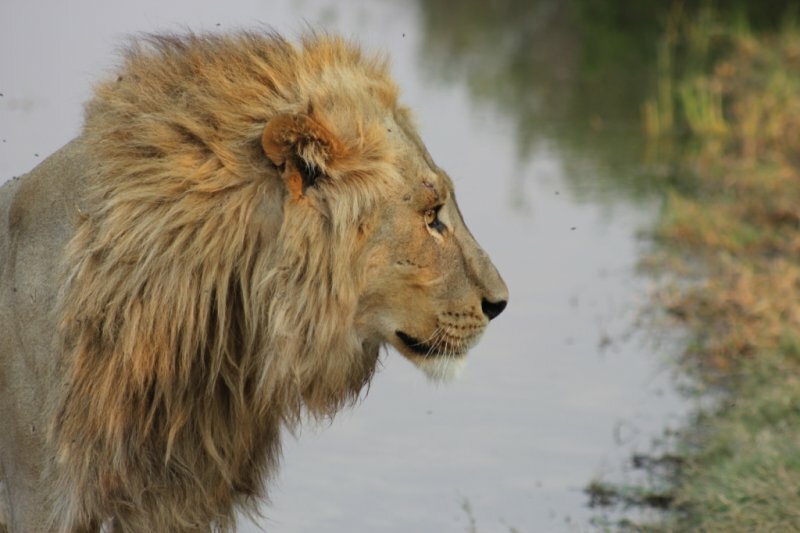 At Camp Moremi, you have the option of following big game during morning and afternoon drives withing open 4×4 safari vehicles. The other options include some exquisite bird watching, analyze the Xakanaka Lagoon and neighbouring Okavango channels using a powerboat. 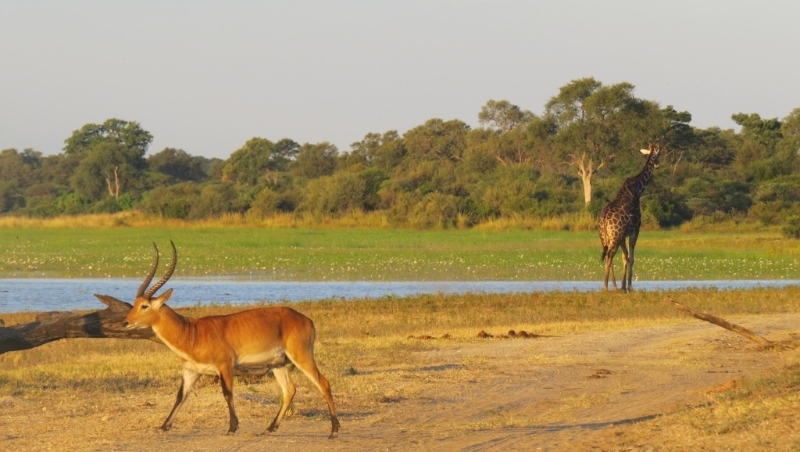 In Moremi, the Okavango waters conjoin with the spacious Kalahari. 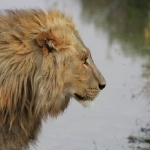 Age-old Mopane forests, expansive grassland, seasonal floodplains and riverine habitats are the result, and come together to actualize one of the most breathtaking animal sanctuaries in Africa. Camp Moremi is an unprecedented reserve, underneath statuesque ebony trees that aid tents in keeping cool during the extreme temperatures. The magnificent Moremi Tree Lodge is an opulent elevated thatch and timber frame.